There are many reasons why one should be in Crested Butte, Colorado, right now. 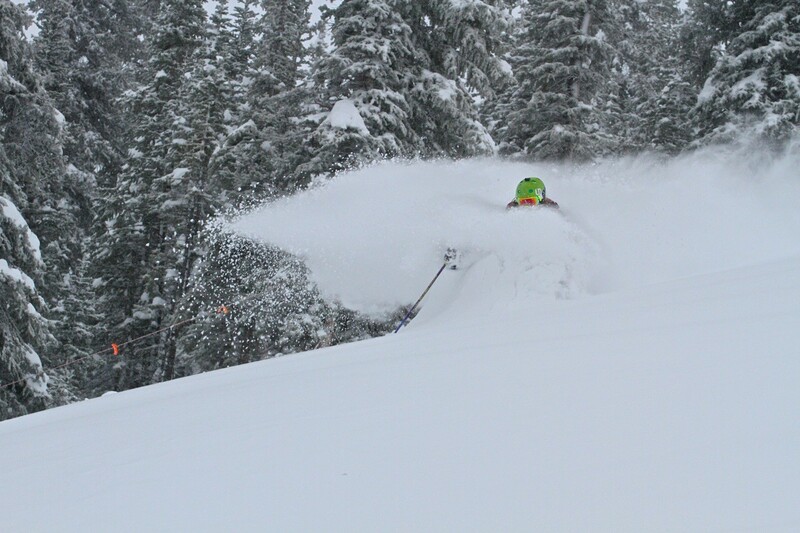 The first being that the resort is posting 12” of new snow in the last 24 hours and it’s still coming down. Second, the Silver Queen Express lift opens on Friday and the East River Express Lift on Saturday, meaning more incredible terrain to ski and fresh powder both mornings. Lastly, Crested Butte Mountain Resort (CBMR) is adding a little bonus to their passholders on Saturday, by opening the Silver Queen lift 15 minutes early to give them first tracks on the new terrain in the East River area. Calling it the Peak Pass Poach, CBMR is opening the lift at 8:45 a.m. on Saturday morning for Peak Pass, Peak Pass+, and Choice Pass holders to get first tracks. Untracked. Ungroomed. And it’s going to be unreal. For terrain openings, the Silver Queen lift will open for the season this Friday, December 6, 2013 at 9 a.m. This will open almost 100 more acres by Friday. Saturday, with the East River lift opening, another 65 acres will open, making this early the season, one of the best in recent memory. Ski and stay now through December 17, 2013 for $79 per person with the Early Season Package. The offer is based on double occupancy for one night of lodging and one day of skiing per person. To make a reservation visit http://www.skicb.com/earlyseason or call Crested Butte Vacations at 800-600-2803. In its fourth year at Crested Butte Mountain Resort, FestEVOL showcases great live music, spring skiing and riding, and all-natural foods. FestEVOL, Crested Butte Mountain Resort’s (CBMR) springtime concert series returns for another show this spring. FestEVOL is a unique lifestyle experience combining snowsports with live music, innovative natural brands and the sustainably focused Reverb Eco-Village. In its fourth year, FestEVOL will showcase a great line-up of live music, skiing and riding, and all-natural foods to CBMR. On Saturday, March 9, local band Mine Control will start the festivities off, followed by Vermont-based band Twiddle, with special guest John Popper of Blues Traveler. The main act will be The Wailers, reggae legends and also crowd pleasers. Concert tickets are now on sale for the Crested Butte event at http://www.skicb.com/festevol. General admission tickets are $25 per person and a limited number of VIP tickets are available for $50 per person. CBMR season passholder discounts are available when purchasing in the Adventure Center at the resort. Lodging, lift ticket and concert packages are available at a 25% discount, when purchasing all together. Call Crested Butte Vacations for more information at 800-600-2803 or locally at 970-349-4554. Guests can also buy concert tickets onsite for $30 per person until the show begins. 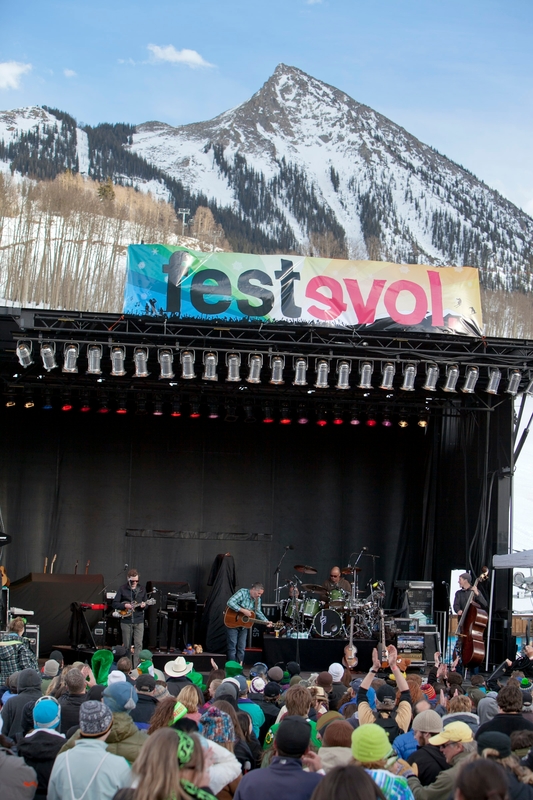 This year, FestEVOL begins its three stop tour at Crested Butte Mountain Resort March 9th. Then heads east March 16th to Okemo Mountain Resort in Ludlow, Vermont, where O.A.R will open for Yukon Kornelious and Mount Sunapee Resort in Newbury, New Hampshire on March 23, featuring O.A.R. As a little background, FestEVOL began three years ago in Crested Butte, Colo. as an idea among friends and now partners; combining mountain sports, live music, innovative natural brands and a sustainably focused “eco village” to keep the event green and to help spread environment consciousness among concert-goers. FestEVOL teamed up with the IZSTYLE winter tour to feature the Reverb Eco Village. This interactive village includes local, regional and national environmental non-profit groups alongside alternative energy and transportation exhibits. The Eco Village also highlights all natural/organic food sampling and ski/snowboard equipment demos with Nordica skis and Burton snowboards. Reverb is a non-profit started by Guster band member Adam Gardner, and his wife Lauren Sullivan as an effort to “green up” concert venues, including things like enhancing recycling efforts, switching tour buses to bio-diesel, and using LED lights for on-stage lighting to name a few. For more information on the FestEVOL tour and its partners visit www.skicb.com/festvevol. Skiers and riders in Phoenix and the San Francisco Bay Area can now take advantage of one of the best travel deals imaginable in ski country: two-for-one airline tickets straight to the slopes of Crested Butte Mountain Resort, Colorado. The Telluride Montrose Regional Air Organization (TMRAO), Telluride Ski Resort (TSG) and Crested Butte Mountain Resort (CBMR) put the deal together with Allegiant Air to offer two-for-one airline tickets from Phoenix-Mesa airport (IWA) and Oakland International Airport (OAK) non-stop to the Montrose Regional Airport (MTJ). This is a special that brings incredible value to a skiing vacation. This winter, Allegiant is offering fares from Phoenix starting as low as $46.99 one-way ($93.98 round-trip). Flights from Oakland start at $49.99 one-way ($99.98 round-trip). The flights into MTJ began December 15 and conclude April 3. Two-for-one tickets must be purchased on or before January 31, 2013 for travel by April 3, 2013. This offer is based upon availability. For a complete flight schedule, visit www.allegiantair.com. With the collaboration of Telluride Ski Resort and Crested Butte Mountain Resort launching the Ultimate 6 Pass, a 6-day pass that is good for 3 days of skiing and riding at each resort, guests can now use the centrally located airport for their travel arrangements and have the opportunity to ski both areas in one vacation. 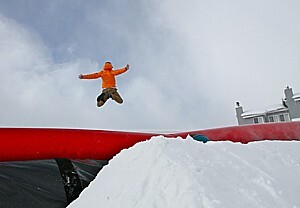 The T-CB Ultimate 6 Pass is available at Liftopia.com at the unbeatable rate of $439 through January 31. “With the Allegiant Two-for-One offer, and the new Telluride-Crested Butte Ultimate 6 Pass lift ticket option, skiers and winter enthusiasts living in Phoenix and in the San Francisco Bay Area now have a very compelling reason to discover Crested Butte and Telluride mountain resorts,” adds Scott Clarkson, vice president of sales and marketing for CBMR. For more information and to book Two-for-One airline winter vacations, call 866-237-5341. Depart Oakland 8 a.m. arrive Montrose 11 a.m. Depart Montrose 11:45 a.m. arrive Oakland 1:15 p.m. Depart Phoenix-Mesa 8 a.m. arrive Montrose 9:20 a.m. Depart Montrose 10 a.m. arrive Phoenix-Mesa 11:30 a.m. Depart Oakland 7 a.m. arrive Montrose 10 a.m. Depart Montrose 10:45 a.m. arrive Oakland 12:15 p.m. Depart Phoenix-Mesa 1 p.m. arrive Montrose 2:20 p.m. Depart Montrose 3:05 p.m. arrive Phoenix- Mesa 4:15 p.m.
(Flight times may vary slightly through the season; for most up to date information, visit www.allegiantair.com). For more information about Crested Butte’s lodging, conference, meeting facilities, and special packages, call Crested Butte Vacations, 800-600-2803 or visit the web site at www.skicb.com. Crested Butte Mountain Resort (CBMR) is giving away a lift ticket a day until Opening Day on November 21, 2012 to lucky fans on their Facebook Page. The free lift tickets will be good for use during the 2012-2013 ski season, with holiday blackout dates of 12/24/2012 – 1/4/2013. “Like” the resort on Facebook and enter to win. With the anticipation of soon being able to let gravity take over on snow covered slopes, the resort realizes that everyone likes to ski for free, so why not let them? Known for “ski free” promotions throughout the 1990s and early 2000s, last year, CBMR resurrected the program to offer Ski Free on their 50th birthday, Opening Day 2011. With so much success and excitement built around the one day promotion, the resort has decided to bring back Ski Free on Opening Day. 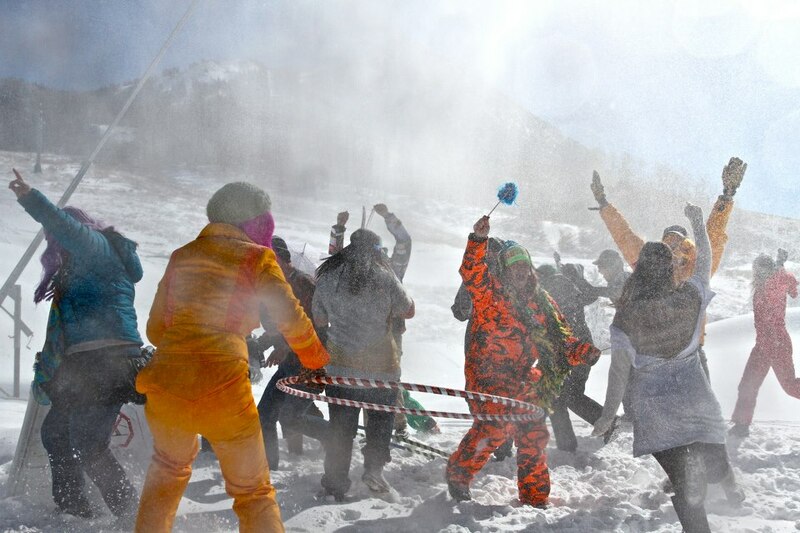 On November 21, 2012, all guests will ski for free at Crested Butte Mountain Resort, no strings attached. 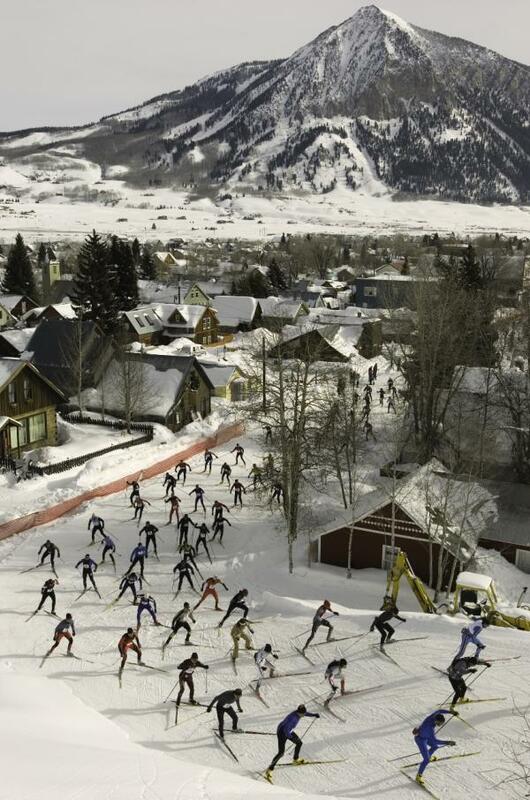 The Alley Loop Nordic Ski Race is one of the events that have put Crested Butte Mountain Resort on the map (photo courtesy of Xavier Fane/Crested Butte Nordic Center). The 26th annual Alley Loop and 15th annual Elk Mountains Grand Traverse are two distinct ski races that have helped put Crested Butte, Colo., on the map as a place that does everything with its own distinctive style. Both have new happenings to announce for 2012 and are spearheaded by Crested Butte Nordic Center. Growing in prestige and numbers over the past decade, the Crested Butte Nordic Council’s Alley Loop has been selected to join the American Ski Marathon Series (ASM Series), North America’s longest-running and largest citizen’s racing and touring series. Already an American Birkebeiner qualifier, the Alley Loop drew more than 550 skiers from 17 states in 2011. The 26th annual Gunnison Valley Health Alley Loop, known for its fun spirit and participation from both serious and not-so-serious costumed racers of all ages, is scheduled for Feb. 4, 2012. The competition is distinguished by a unique course that starts and finishes on the town’s main street, Elk Avenue, before meandering through snow-lined alleys, behind false-fronted Victorian buildings, over footbridges, alongside residences and out to groomed trails in the outskirts of town. Ranging from 1.5 and 3 kilometer races for children and families to half and full marathons, crowds line the streets and alleys to cheer on racers. The 1.5 and 3 kilometer races begin at 9:30 a.m., and the rest start at intervals beginning at 10 a.m. New Belgium Brewing’s Taste of the Alley Beer Garden on the deck of the Brick Oven offers a great spot to watch the action and socialize from noon to 4 p.m. Registration is now open on the Crested Butte Nordic Center’s website at www.cbnordic.org. Complete information about the ASM Series can be found at www.xcskiworld.com. One of the most sought-after and rugged backcountry ski races on the planet celebrates 15 years of memorable moments and amazing athletic feats on March 29 – 31. The GORE-TEX Elk Mountains Grand Traverse presented by Outdoor Research and Dynafit follows historic mail routes that connected the Colorado mining towns of Crested Butte and Aspen in the 1880s. Kicking off at the stroke of midnight on March 30, the Grand Traverse is a one-of-a-kind test of endurance and smarts, requiring avalanche awareness, backcountry athleticism, winter camping knowledge and map reading skills all wrapped in one. This unusual start time is scheduled so entrants will reach the high point of Star Pass at 12,303 feet before the warmth of the day increases the likelihood of avalanches. The 40-mile course starts at 9,000 feet at Crested Butte Community School and traverses to Crested Butte Mountain Resort, where cheering crowds greet racers as they pass through the base area just below the Silver Queen lift. After conquering two mountain passes, the teams finish at the base of Aspen Mountain ski area on March 31 and celebrate that evening with a cocktail party, dinner and awards in Aspen. “The Grand Traverse is not a Nordic or downhill race, but instead tests skiers overall skills and goes from town-to-town, covering 40 miles of rugged trails in the Elk Mountains. Every event dishes up new surprises for contestants and organizers,” says Keith Bauer, director of the Crested Butte Nordic Center, which has assumed responsibility of the race from a group of longtime volunteers. A two-day registration and expo are new for this year. Because of the remote route, each team of two is required to carry enough food and supplies to sustain themselves for 24 hours. Upon registration, the team’s packs are checked for essential gear such as a two-person shelter, stove, fuel, shovel, probe, first-aid kit and equipment repair items. Sponsors Dynafit and Outdoor Research will have product demonstrations available at the base of CBMR, and racers can take part in a “skin with the pros” on March 29 from 4:30 to 6 p.m. and March 30 from 7:30 – 9 a.m. The tour will follow the section of course that crosses CBMR terrain and give competitors a chance to do some final equipment tweaks with the help of experienced Grand Traverse racers. On Thursday evening, race organizers will have a film festival featuring backcountry ski movies at the Lodge at Mountaineer Square, which is free to all racers and open to the public for $8 per person. Registration for the Grand Traverse sold out within 30 minutes on Dec. 1, with 150 teams of two filling the slots. To see if any openings become available, watch the Elk Mountains Grand Traverse Facebook page. Trackleaders will provide SPOT-based so the progress of all racers can be monitored on www.elkmountainstraverse.com and www.trackleaders.com. The Crested Butte Nordic Center is a full-service cross-country ski center providing lessons and complete rental packages for skate and classical skiing as well as guided backcountry tours, yurt dinners and brunches, ice skating, snowshoeing and sledding. The Nordic Center maintains more than 55 kilometers of groomed trails that meander through and around Crested Butte. Located in the heart of town at Second Street and Whiterock, the Nordic Center will be open for the season from Nov. 19, 2011 – April 8, 2012 and is connected to Crested Butte Mountain Resort and various stops in Crested Butte by the free Mountain Express bus. For more information about the Crested Butte Nordic Center and its winter 2011/2012 calendar of events, visit www.cbnordic.org. To find out more about events or to book vacation packages, call the Gunnison-Crested Butte Tourism Association’s at (800) 814-8893 or visit www.GunnisonCrestedButte.com/packages. Find the Tourism Association on Facebook at www.facebook.com/gcbta or follow on www.twitter.com/gcbta. The Gunnison-Crested Butte Regional Airport is served year-round by United Airlines and during the winter season by American Airlines and Continental Airlines. Gunnison, county seat and a real Western town, is home to the Gunnison-Crested Butte Regional Airport, Gunnison Whitewater Park, Gunnison Valley Observatory, Pioneer Museum and Western State College, a four-year institution offering majors in the liberal arts and sciences and professional fields. Both Crested Butte and Gunnison have thriving historic central business districts packed with shopping and dining opportunities. In Gunnison County, visitors will find the Curecanti National Recreation Area, where dinosaur fossils were recently discovered; the Blue Mesa Reservoir, Colorado’s largest body of water and home to the largest Kokanee salmon fishery in the United States; and The Black Canyon of the Gunnison. Gunnison County includes the quaint and historic towns of Pitkin, Gothic, Tin Cup, Powderhorn, Almont and Crystal. Gunnison County is part of the West Elk Loop and Silver Thread Scenic & Historic Byways. Crested Butte Mountain Resort (CBMR) welcomes Yoga Rocks the Butte, a family-oriented winter yoga festival scheduled for February 10-12, 2012. The event will be hosted at the Elevation Hotel and Spa, located at the CBMR base area. Yoga Rocks the Butte features yoga, music, meditation, world class skiing, snowboarding and many other winter activities, benefiting the non-profit organization Yoga World ReachÓ. The event includes workshops with Shiva Rea, Micheline Berry, Shakti Sunfire, as well as concerts with Dave Stringer, Govindas, Steve Gold, and many other artists. Kids programming, childcare and activities will be available for kids ages two through teen, ensuring that everyone will be part of the festivities and encouraging the entire family to participate. For further information about the event visit, http://www.yogarocksthebutte.com. Yoga Rocks the Butte will benefit the Yoga World Reach, a non-profit organization whose mission is to educate, motivate, and empower Yoga teachers to provide outreach in undeveloped countries. For further information visit, www.yogaworldreach.org. Nestled in the heart of Colorado’s Rocky Mountains, Crested Butte is committed to preserving the pristine landscape and mountain lifestyle. With vibrant Victorian store-fronts and expressive local characters, the small historic town remains true to its heritage and radiates an unparalleled welcoming and inviting spirit that celebrates a simpler life and time. Thanks to a widely diverse landscape outdoor enthusiasts of all levels will find a new challenge with each visit. From world-class mountain biking, to legendary skiing and snowboarding, to a secluded fly-fishing experience, Crested Butte is one of Colorado’s best-kept secrets. 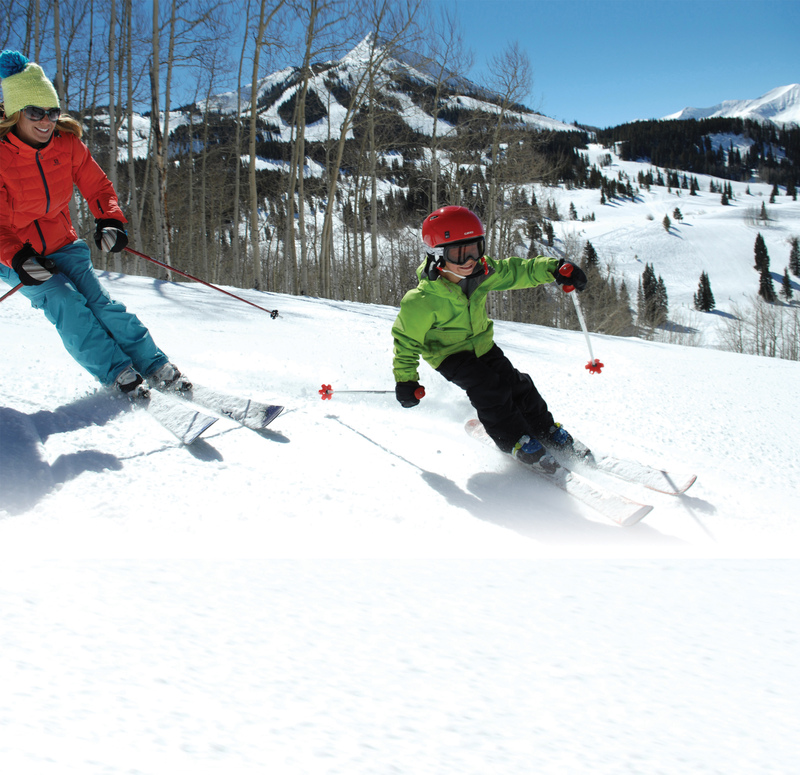 For more information about Crested Butte’s lodging and special festival packages, call Crested Butte Vacations, (800) 600-2803 or visit the website at www.skicb.com.